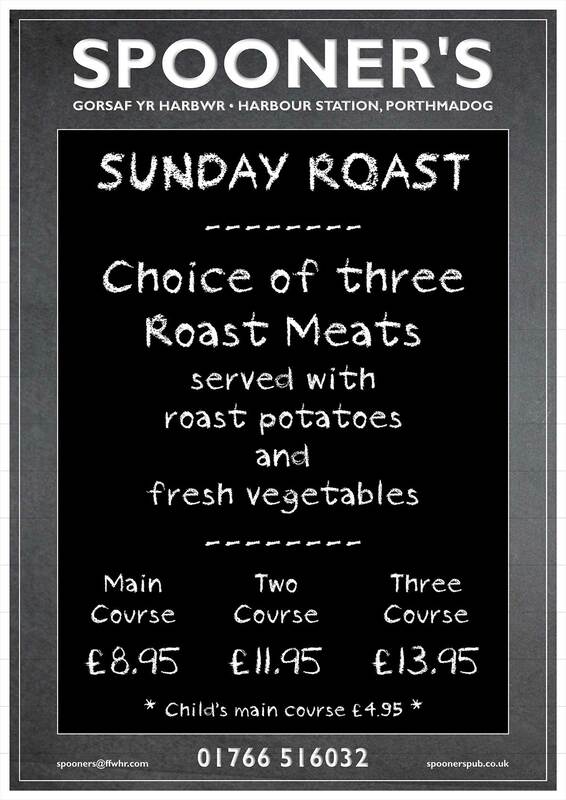 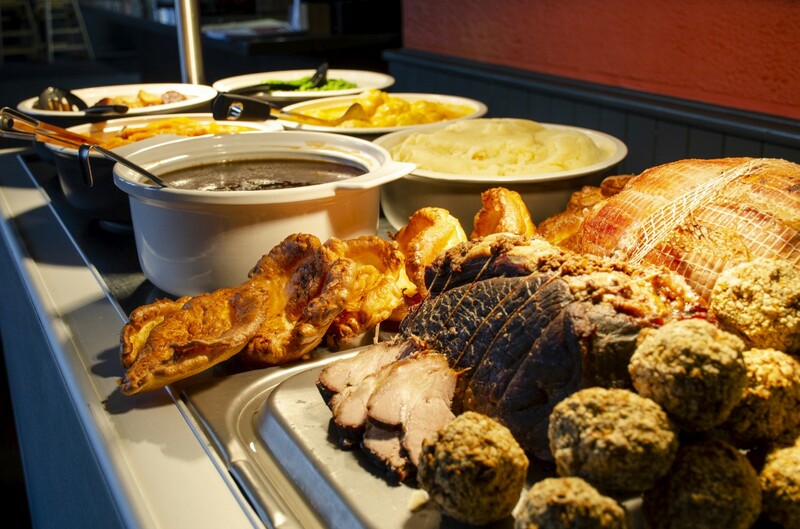 Spooner’s Sunday Lunch is Back from as a Carvery. 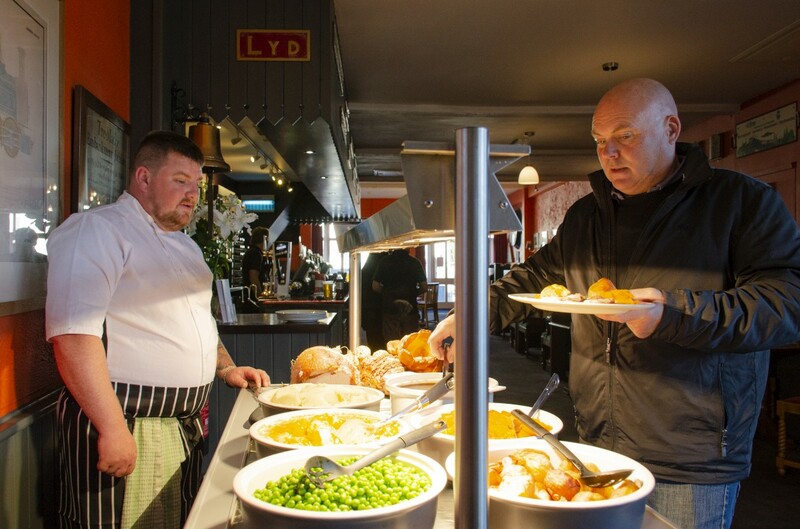 Join us each Sunday between 12 noon and 3pm for our Winter Warming Carvery with a choice of succulent roast meats sourced from our butcher T.J.Roberts of Bala, and fresh seasonal vegetables with all the trimmings. 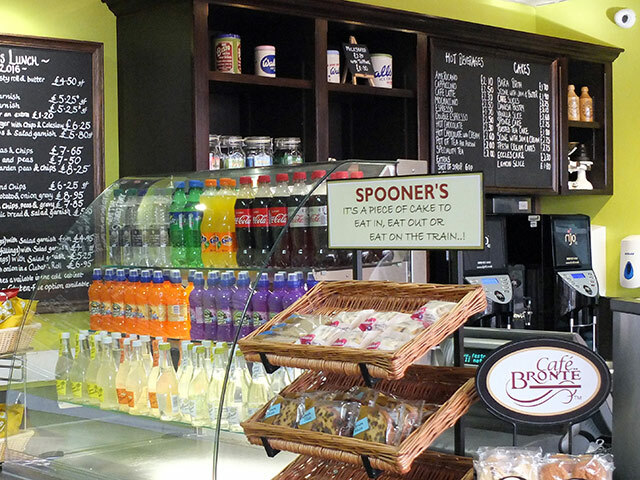 So why not treat yourselves… Come along to Spooner’s and let us look after you – there’s a warm welcome waiting for you here..!